“Delusions are important,” says Mel. “If we didn’t lie to ourselves, we wouldn’t do anything.” I’m not sure that’s true. I think ambition is important. I think that striving is important. I think stretch goals are important if you want to improve. I know that chasing someone you think is quicker than you around a track is a good way to get faster yourself. That’s not deluding yourself; it’s giving yourself a target. An honest assessment of where you are in your training is important when you go out and run your race. There is no point in going out at a pace you can’t sustain unless you just want lungfuls of pain and sore and sorry legs to go with the humiliation of limping home stylelessly. Why go out at six minute miles when you’re going to cross the line shambling at half the pace. Go out steadily, pick up the pace as you go on and then finish like a train, picking up places all the time. Maybe it’s not really delusions, maybe it’s dreams or visualisations. Sometimes we need to see ourselves doing things we haven’t yet done to believe we can do them. Does that make sense? There are all sorts of visualisation techniques athletes use to help them perform to the very best of their ability. I still don’t think that’s lying to ourselves although it is creating something which isn’t real. There will always be times when ambition exceeds ability, sometimes to a heroically comic extent. The one time I almost ran a 200m PB chasing Group 1 home at the very end of a cut-down and then spent the next ten minutes throwing up into a bin by the side of the track. I was still off the back of the group and I hadn’t done the six and a half kilometers running up to that last effort. 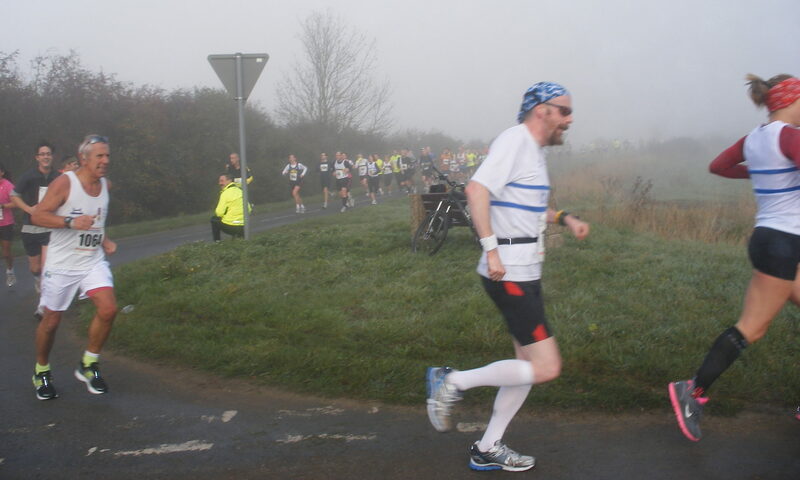 Or the Kevin Henry 5k at Impington where I had to stop with 800m to go for a tactical chunder. Those efforts were certainly delusional. There is one context in which goals should not be easily attainable. If you always exceed your expectations, then your expectations are too low. Your sandbagging yourself. That’s as bad for you as never attaining your goals because they are unrealistically high. Perhaps there is a compromise to be made in which you reach your goals a little over half the time. So, is setting a stretch goal the same as self-delusion, as lying to yourself? It’s an interesting question.